GandCrab ransomware and Ursnif virus is newly found malware attacks discovered by security researchers. They are actually different malware campaign. Ursnif is a sort of Trojan mainly stealing data and personal information, and GandCrab is classified into ransomware, but GandCrab mainly attacks victims’ device by coming with UrSnif malware. So, they always come to attack devices together. They mainly come from those emails have been attacked by phishing or identity theft attack. Usually these email attached with a Microsoft Word document will be preferred by these two kinds of malware things, because, they can be added or embedded with their malicious macros, and next they use the Powershell to deliver fileless malware. Ursnif malware is classified into a data stealing malware because it is designed to steal victims’ personal sensitive information from infected devices like PC. Your online banking details, credit card credentials, ID numbers, passport number, browsing histories, passwords, logins, collect keystrokes, system and process information and more will be carefully and aggressively collected by this Ursnif malware. It even opens backdoors for other online threats. GandCrab is a kind of ransomware, so it can encrypt your files and locks you out of computer until you pay for a ransom, or you will not be able to use your computer and access any files. 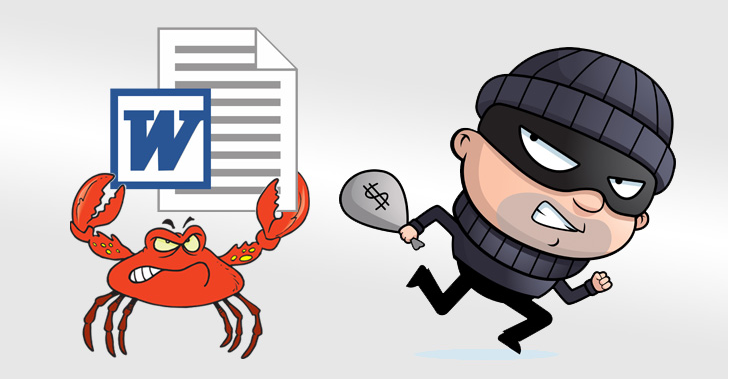 GandCrab mainly ask victims to pay ransom in digital currency to unlock your computer. It is a scam and harmful malware to defraud money.